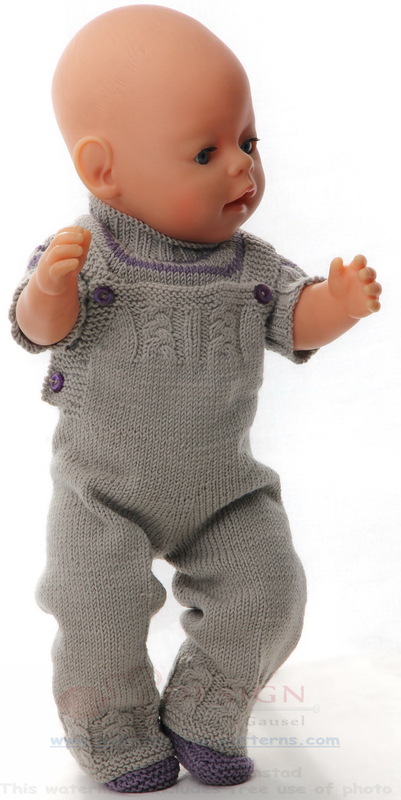 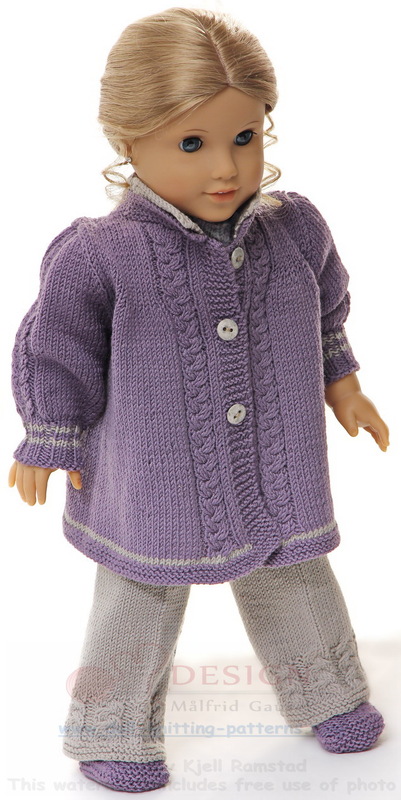 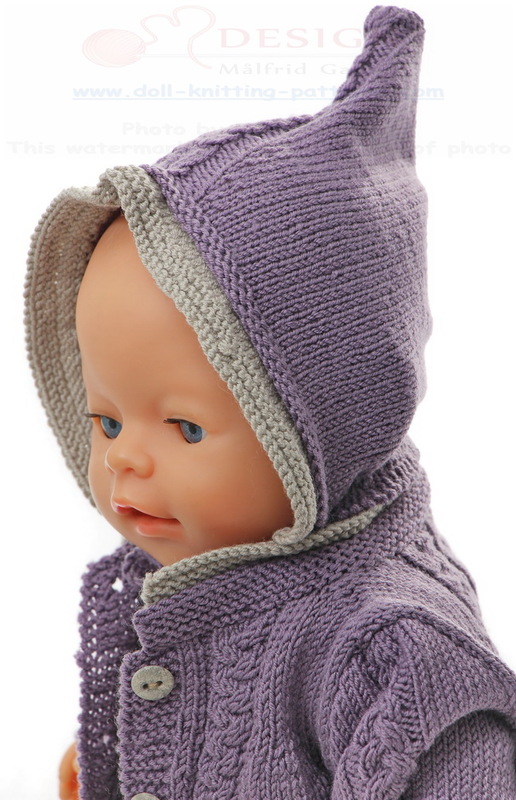 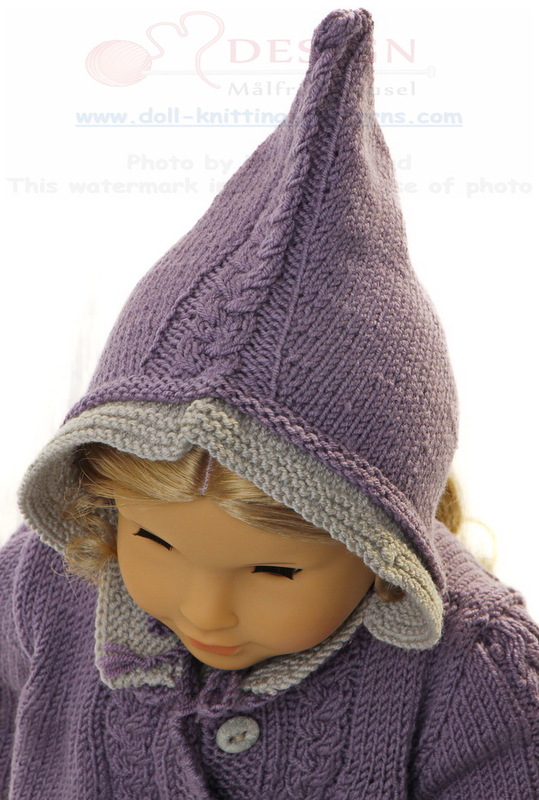 This time I decided to knit a lovely coat in lilac to my doll Sophia. 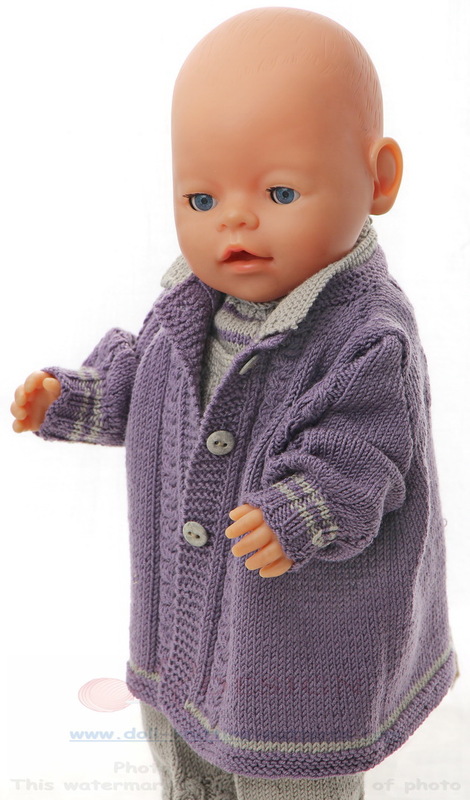 It is August and autumn is coming. 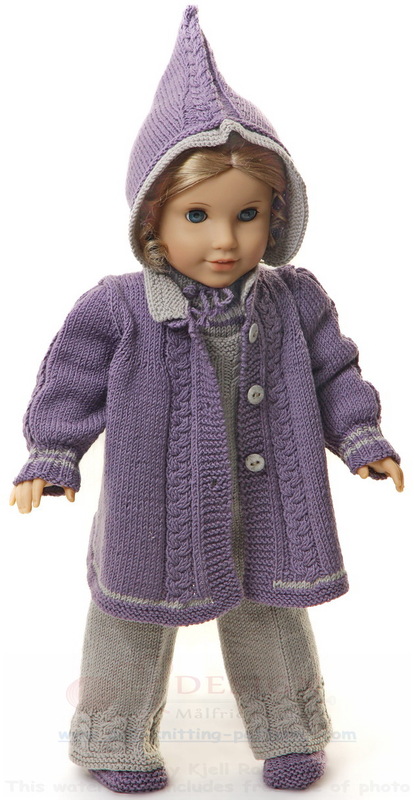 The coat is knitted in lilac with a little element of beige. 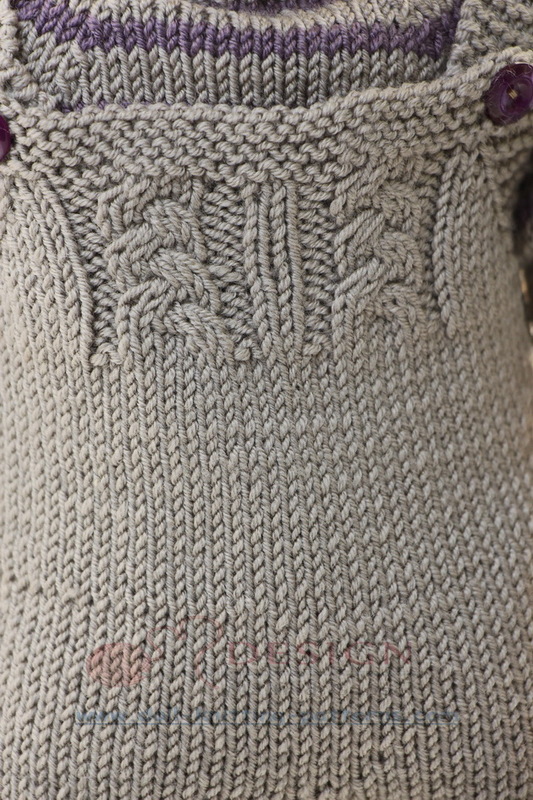 The coat has a beautiful cable pattern along the front band at each side front, and along the center back. 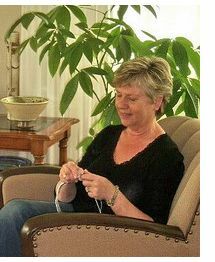 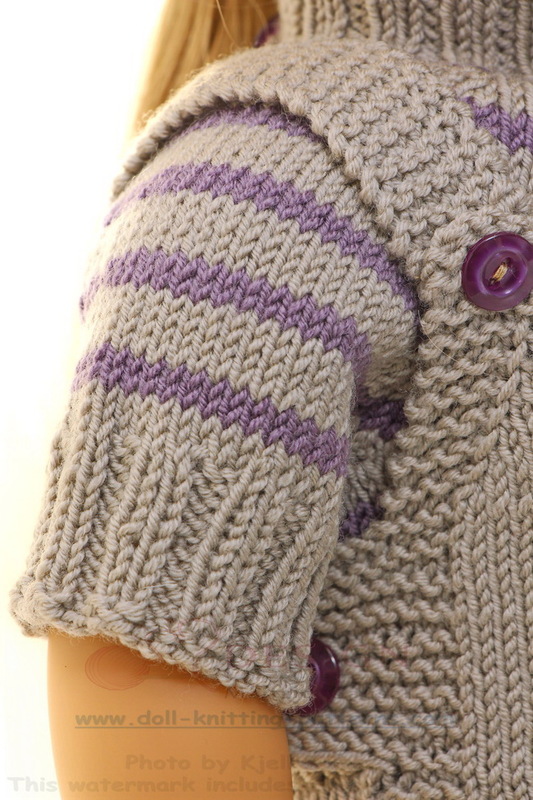 The coat is wide until sts are decreased for the sleeves and the yoke. 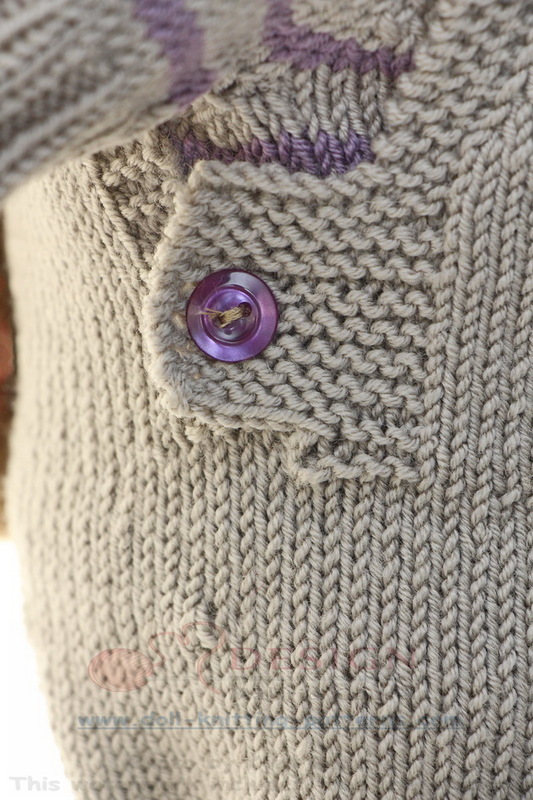 I liked these beige buttons for this coat. 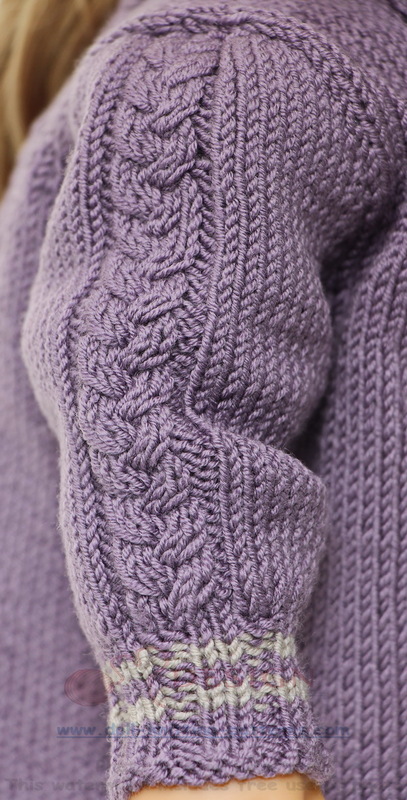 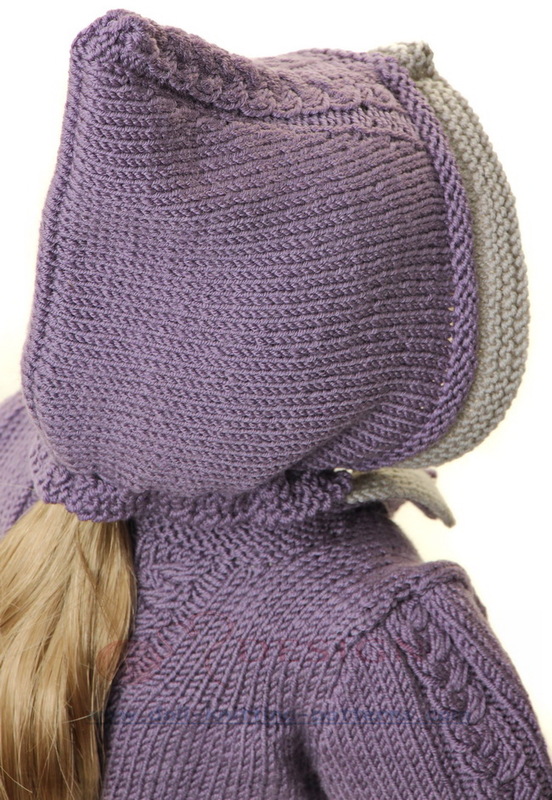 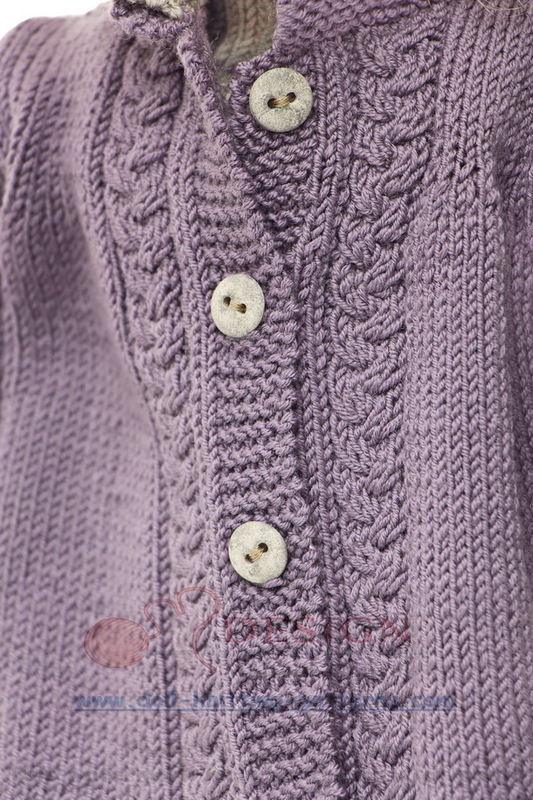 ... raglan decreases and buttoned back with a lilac button. 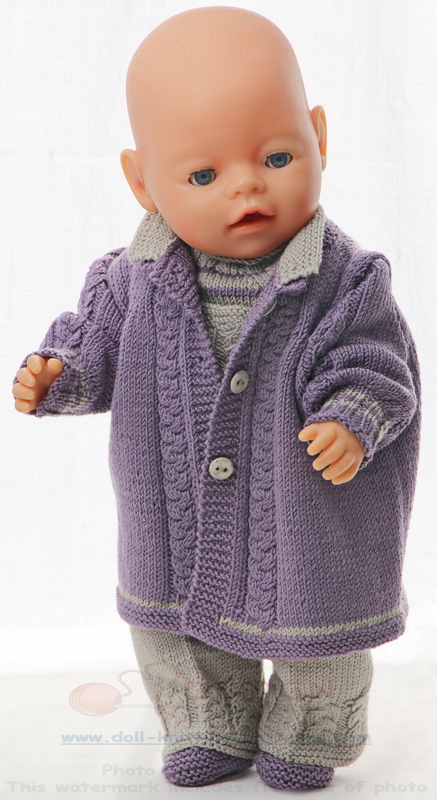 Now I think Sophia is well dressed to meet autumn and cold days! 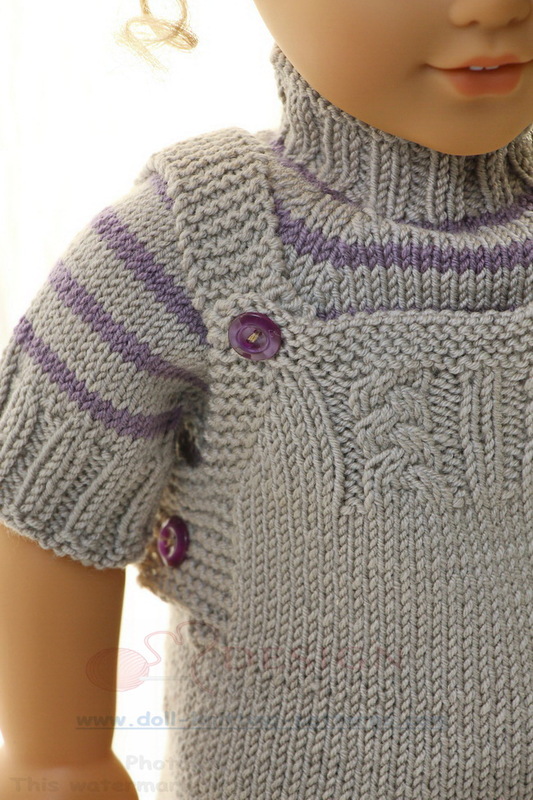 I hope you will enjoy knitting these clothes!